Over 80% of Venezuelans live along the country’s Caribbean coastal belt. The economy is growing with over 80% of export earnings coming from oil production. After years of dictatorships, religious freedom is beginning to solidify. Local Christians are on a mission to plant 25,000 new churches by 2015 and evangelicalism is increasingly recognized as a legitimate expression of Christian community in a Catholic-controlled society. 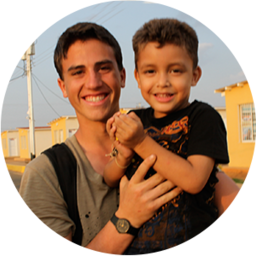 You can help us continue our mission in Venezuela with your tax-deductible financial contribution. Your support allows us to cultivate long-term relationships with local pastors, develop an ongoing church-planting movement in the region, and continue serving the physical needs of the people.